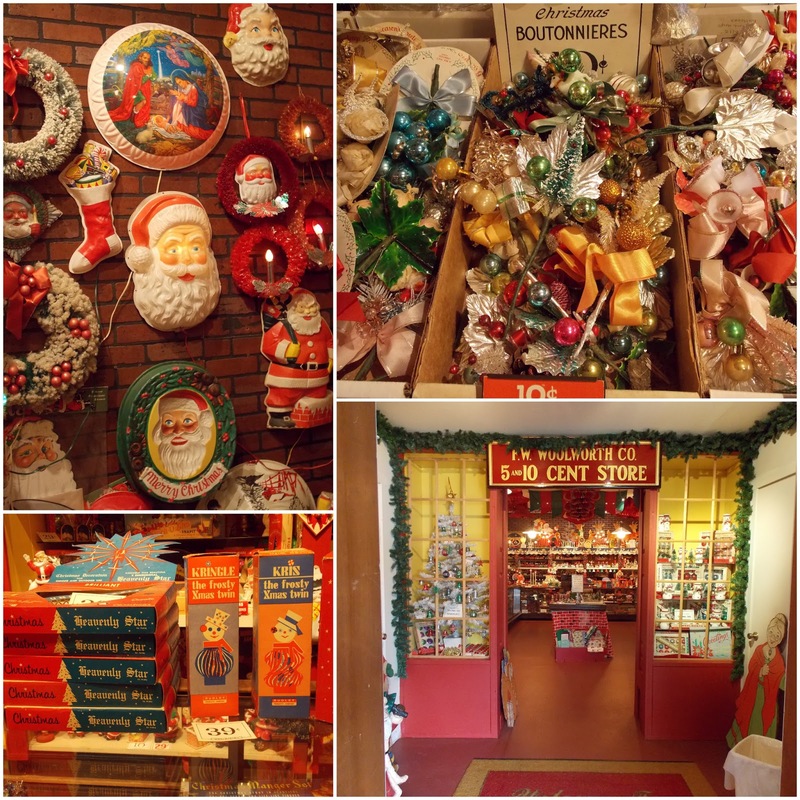 Before driving home from Lancaster, Donnie and I stopped at the National Christmas Center. Heidi had recommended it, so I knew it would be good! 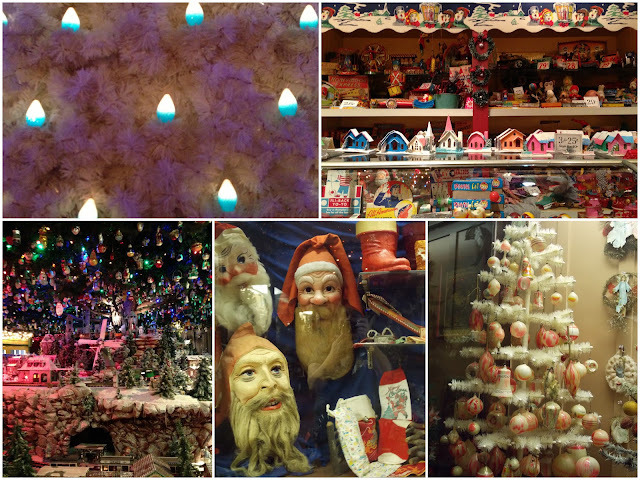 I took so many pictures of this amazing Christmas themed museum. As you walk through, there are different themed areas. They have Christmas around the world, a Tudor town full of little animals that tells a story, and quite a few others. 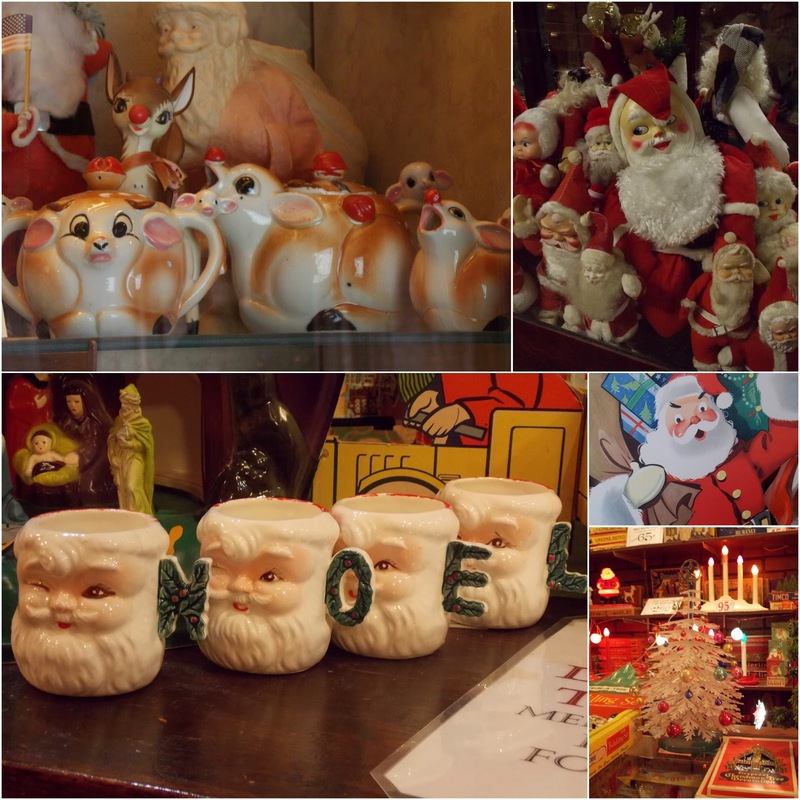 The old Woolworth's is my absolute favorite and oh how I wish they the items were actually for sale! I can't wait to go back with the boys, because I think they'd really enjoy it! 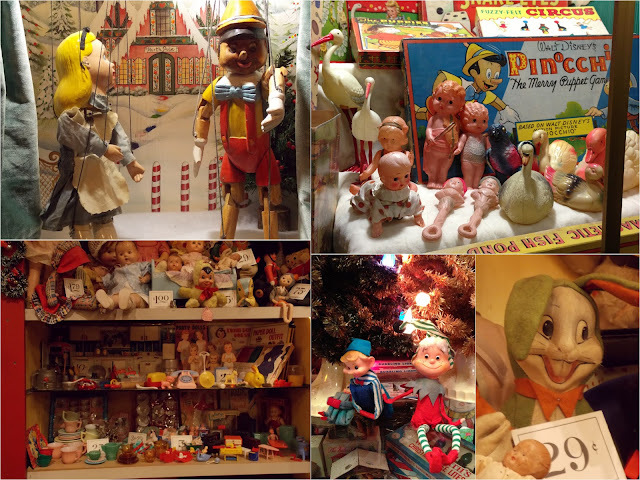 I have recently rediscovered my love for Pinocchio, thanks to some sweet vintage finds I need to share soon. 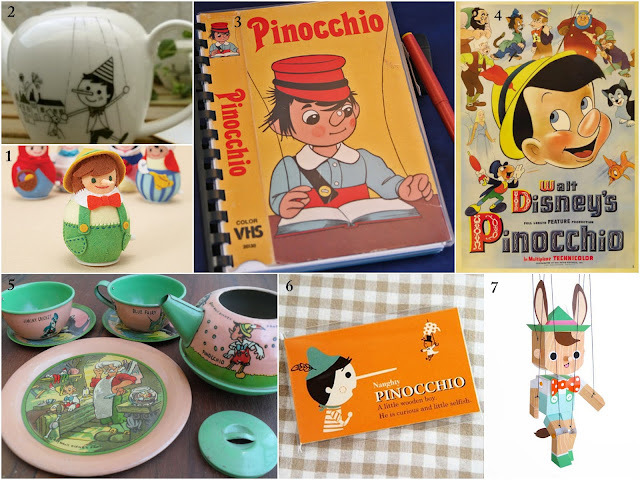 I thought I would take a break from Lancaster pictures to share this wishlist of Pinocchio related items. I'll be back tomorrow with more Lancaster pics, so hopefully you aren't tired of those yet! Whenever we travel, I love to pick up tons of brochures for area attractions. One of the brochures we picked up from our hotel lobby was for Wilbur Chocolate in Lititz. Besides being full of delicious chocolate treats, their shop is also a museum of sorts. It was free and involved chocolate, so it was a pretty obvious choice. Their chocolate was delicious and I loved looking at the old chocolate molds and paraphernalia. I'm so glad we decided to go, because I really fell in love with this little town! Lititz was voted America's coolest small town and we could see why. There were so many adorable shops full of local art, gifts, and vintage treasures, sweet little eateries, beautiful architecture, and a really lovely park. 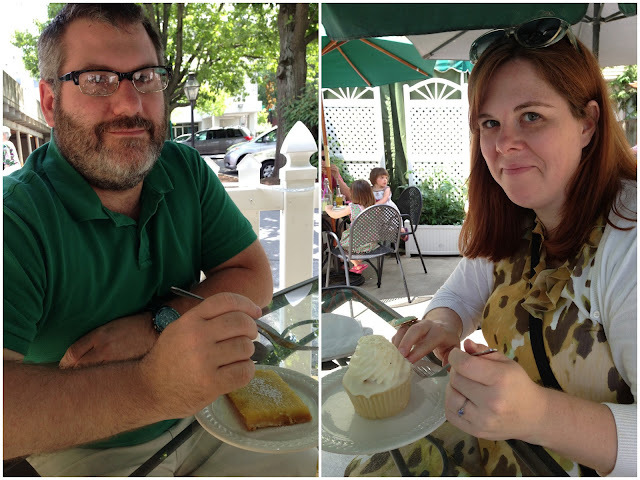 I bought the most amazing quilt at one of the shops, which I will share in a later post, and we ate lunch at Tomato Pie Cafe. I highly recommend their namesake! One of the shop owners told me that the town has a second Friday celebration that I think we will be returning for! They actually had tomatoes growing on their patio and in window boxes. It really is a cool little town! Even their crosswalks are adorable! I loved this little food stand and the prices were so cheap! Last weekend Donnie and I took a trip to Lancaster County, Pennsylvania. For living in Pennsylvania, we haven't actually explored our home state as much as I'd like, so I was happy to stay a little closer to home. 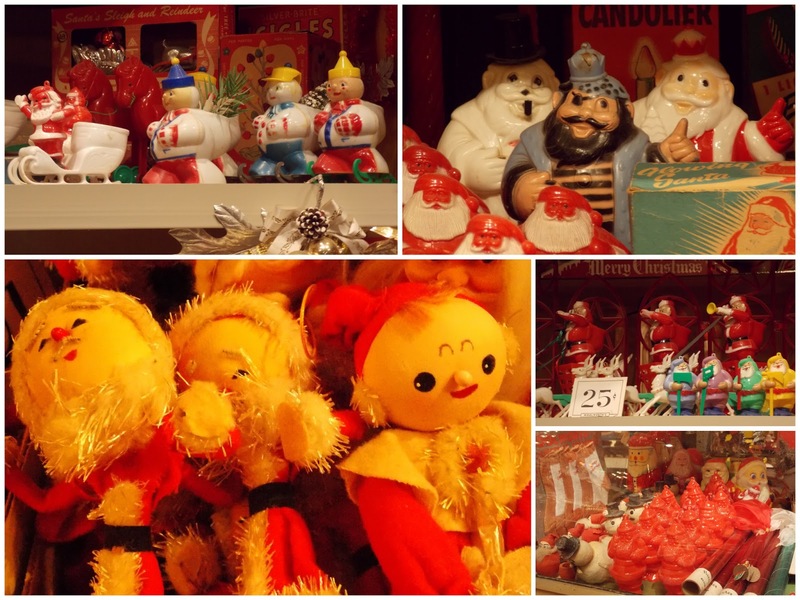 We had a really lovely time and did a lot of fun exploring and shopping and eating, of course! 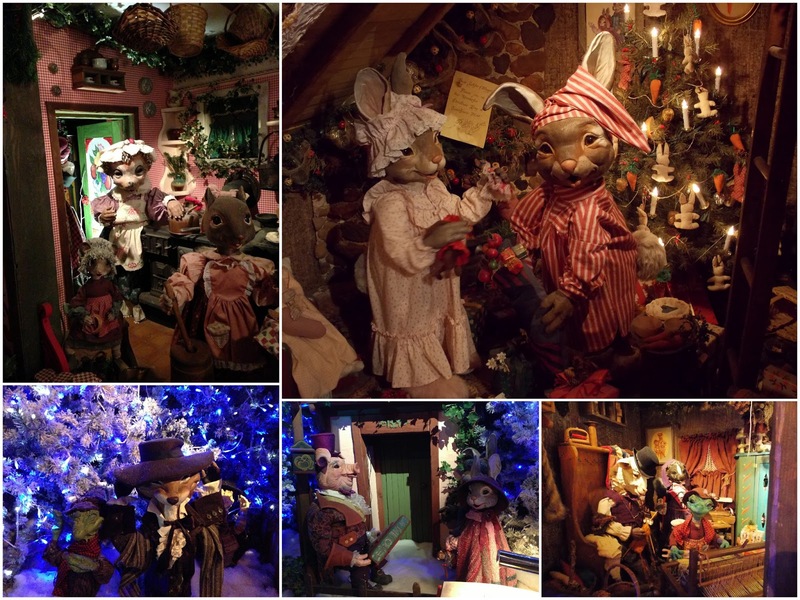 I took a lot of pictures of my two favorite parts of the trip, Lititz and the National Christmas Center, so I will split them up in their own posts. If anyone lives close by and hasn't visited Lancaster yet, I'd recommend that you do so soon! We didn't eat here, but I made Donnie stop so I could take a photo! Amish Stuff apparently means pretty tacky souvenirs and some random wooden furniture! We spent a bit of time walking around Stoudtburg Village which is made to look like a little European village and is really beautiful. We were surprised to find it mostly deserted. We couldn't even find someone to take a picture of us together, hence me standing all by myself in front of that pretty fountain! There were some neat little shops and the shopkeepers were so friendly. Apparently most of them live above the shops, although we were told that some rent out the space. There's an entire house there that can be rented by the night. Wouldn't this be such a lovely place to stay? I'll be back tomorrow with some more pictures of our trip! 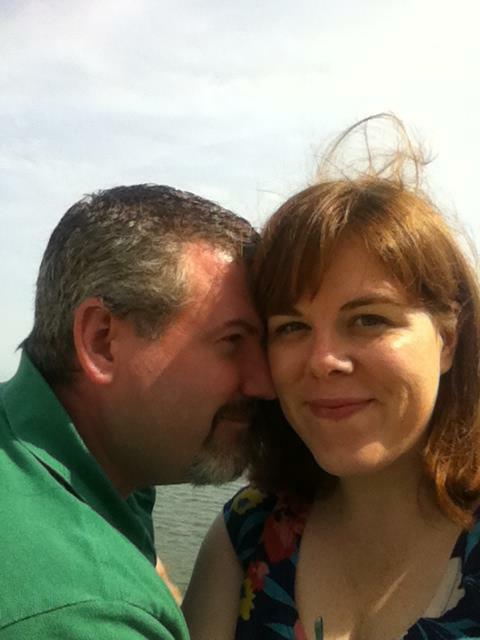 Today's playlist is a special extra sappy one to celebrate my anniversary. Ten years ago Donnie and I were in Las Vegas with two of our best friends. We had a super low key wedding at The Little White Wedding Chapel's Tunnel of Love and it couldn't have been more perfect. I can't believe ten years have gone by already! It's amazing how much we've been through and accomplished in this time and I really couldn't ask for a better partner to experience it all with! Here's to many more years with my sweet husband!! I love summertime meals! I feel like I eat so much healthier in the warmer months. I tend to go with lighter meals and lots of fruits and veggies. We've been trying our best to eat less processed foods and have cut out meat, except for seafood. This salad fits perfectly with summer meals and makes enough to last a few days! You can find the recipe here, although it could be definitely be tailored to fit personal tastes. I think I will use feta the next time, instead of mozzarella, and a balsamic vinaigrette for some extra flavor. Enjoy! A few Saturdays ago we headed to a nearby zoo, as an early celebration for Donnie's birthday. My husband is the biggest animal lover and always requests to go to the zoo for his birthday. I know he really wanted to head to the National Zoo in D.C., but we slept in and went to the Catoctin Zoo instead. It's a really lovely zoo and there were tons of animals, from big lazy kitties to lots of adorable babies. It was our first visit, but I know it won't be our last! I took over 200 pictures, but I'll just share a few of my favorite animals! 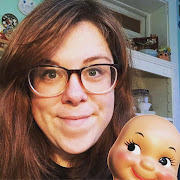 I've been a terrible blogger this month! I have a really good excuse, though. The new Animal Crossing game for 3DS came out! Haha! Well that's one reason I've been a slacker, but really we've been busy enjoying the lovely summer weather and having adventures. I have a ton of pictures and ideas for posts, so hopefully I can catch up this weekend sometime! Tomorrow we are off to ride Thomas the Tank Engine for Benny's birthday. I hope everyone has a great weekend! I guess this is my new hobby, photographing abandoned houses and buildings and being too afraid to go inside any of them! To be fair, I was going to go in one of the cabins you'll see pictured below, but I heard someone or something walking nearby and ran back to the car! These cabins have been vacant for as long as I can recall. They are across the road from a park we take the boys pretty often and I've always wondered about them. I was able to find this little bit of information online and am hoping to go back and explore these some more, preferably with a companion next time! I'm not even sure if this building was a house or a barn, but all that's left is a bit of a shell. It looks like there may have been a fire here at some point. I hoisted myself up onto the wall in the last picture, hoping to see some clue of this building's past, but it was too overgrown to see anything. The building in the third and fourth picture is an old stable and a good part of the interior was covered in sad graffiti. The land surrounding this property is well maintained and used for farming, so perhaps this is the remains of an old farmhouse.